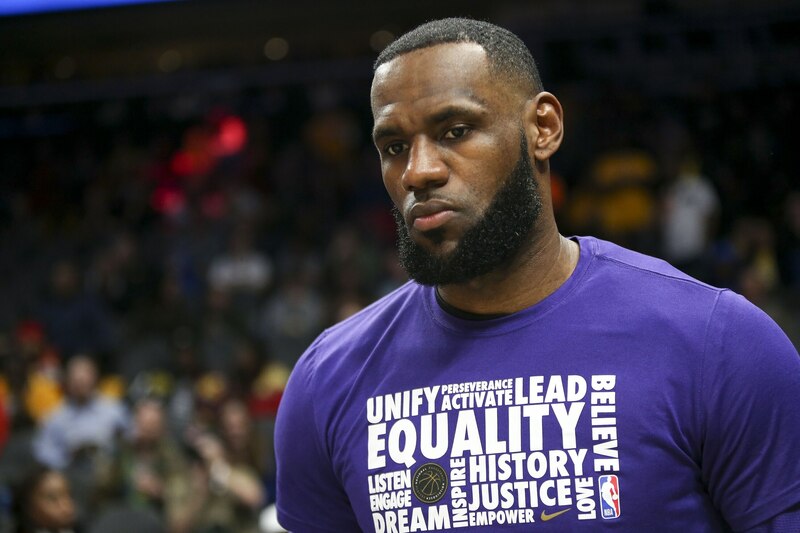 LeBron James and the Los Angeles Lakers have 25 games to prove their worth in the Western Conference and salvage what has been an incredibly frustrating season. The Lakers are currently one game under .500 and the 10th seed out west. They sit three games behind the Clippers for the eighth spot as the season draws to a conclusion. Needless to say, the pressure is going to be on King James over the next two months or so. In talking about his mentality coming out of the All-Star Break, the three-time NBA champion noted that he’s “going to be a little different” down the stretch. LeBron said after Lakers first practice back from All-Star that he was "going to be a little different" with LA a game under .500 & 25 games left. Essentially, Playoff LeBron. Asked how the rest of the team matches him, Josh Hart said, "It's time for us just to grow up." It goes without saying that James is indicating he’ll up his effort level coming out of the break. The NBA’s best player has been a somewhat subtle presence since returning from an injury that cost him 17 games earlier in the season. He’s now looking to take charge. That’s not a bad thing for an otherwise young Lakers core group. Whether it translates to a playoff appearance remains to be seen.